Spring and summer are fast approaching and at The Insurance Emporium we are finding it hard to contain our excitement! The warmer weather and the longer, lighter days mean that we can soon start planning our latest caravan adventures. Our little island has some of the best spots in the world to take your touring caravan, from the panoramic views provided by Padstow Touring Park in Cornwall, to the uniquely peaceful Faichemard Farm overlooked by the beautiful Glengarry Mountains in the Scottish Highlands. Of course, some of the more picturesque spots are only accessible by narrow, winding roads, so getting a good view around you can be of paramount importance when travelling with your touring caravan. It’s an urban myth that towing mirrors are not a legal requirement, if the police stop you while you are pulling a trailer or caravan wider than the rear of your car then you could face a 3 point penalty, a £1,000 fine or prosecution. At the Emporium, we want to encourage awareness of caravan road safety as well as the towing mirror law and that’s why we’ve launched our Watch Your Back! campaign. Towing mirrors increase your field of vision and could help to make sure you enjoy your adventures without any unnecessary upset. Join our campaign and you could win 1 of 3 sets of Mileneco Grand Aero 3 Towing Mirrors worth £76.94 each. This competition has now ended. Thank you for entering. Additional mirrors help to eliminate blind spots that occur when towing a caravan. 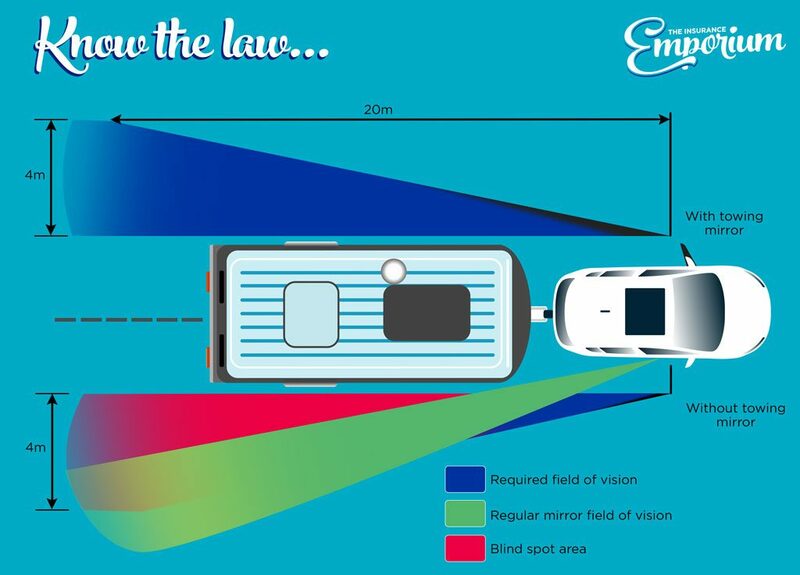 The law states that there has to be a clear field of vision 4 metres out from the side and back of your caravan. The driver should also be able to see back twenty metres from where he is sat. It is important to eliminate these blind spots, not just for your own protection but for the safety of those around you. 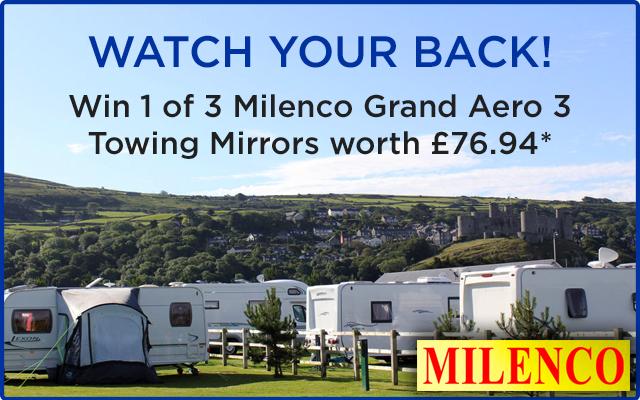 The Milenco Grand Aero 3 is one of the top towing mirrors available. Offering the maximum view possible, as well as excellent stability, the Grand Aero 3 enables you to avoid low-hanging hazards or obstacles that may stick out. Milenco Limited is the largest and most successful towing mirror manufacturer in Europe and, since their launch in 1993, have been synonymous with caravan accessory quality. So, join our Watch Your Back! caravan campaign today, stay safe and compliant and enjoy your latest adventures worry free. While mirrors will help you to see more around your vehicle, caravan insurance could help you to protect other parts of your passion. To find out more about keeping your caravan covered, just stop on by The Insurance Emporium today!